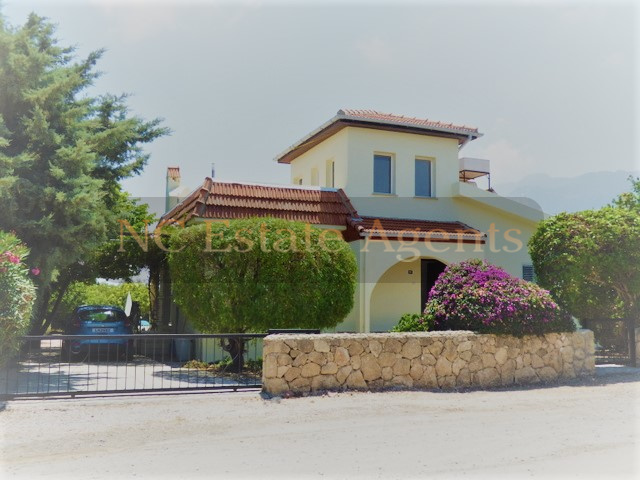 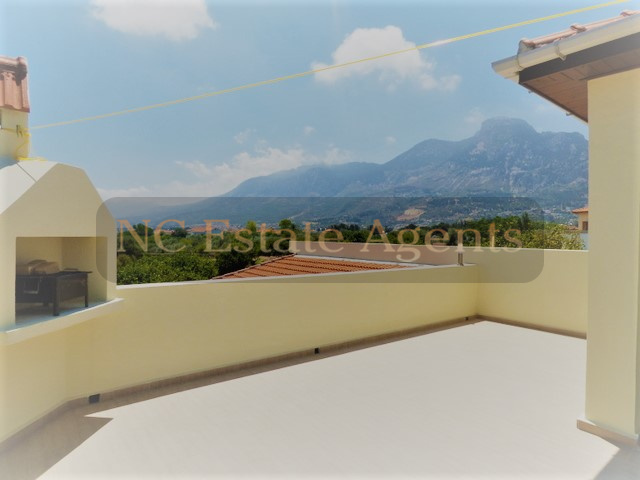 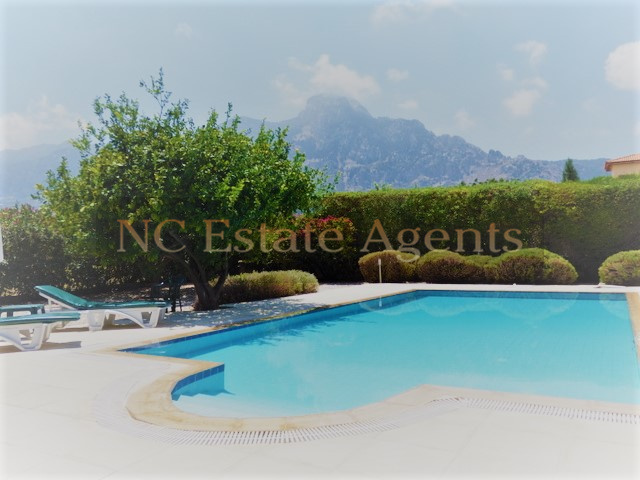 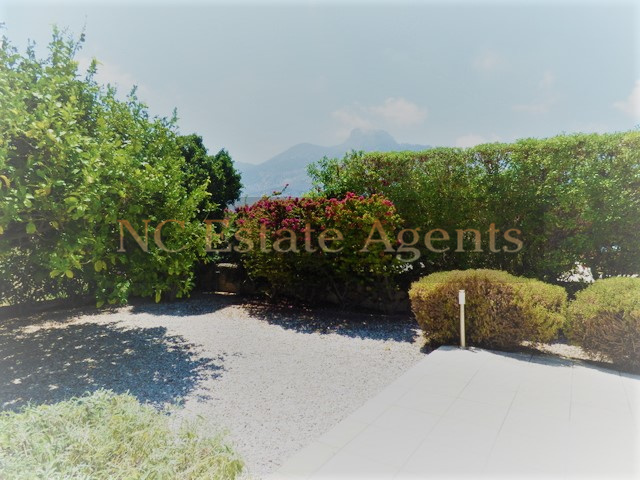 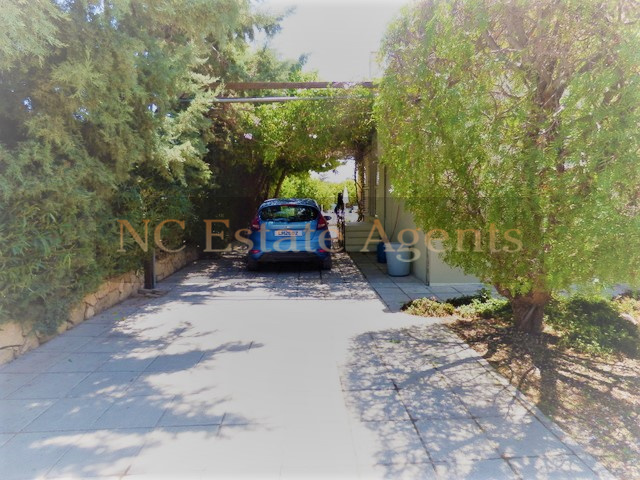 NC Estate agents are proud to bring to the market this 3 bedroom detached bungalow in Karsiyaka with stunning uninterrupted mountain views. 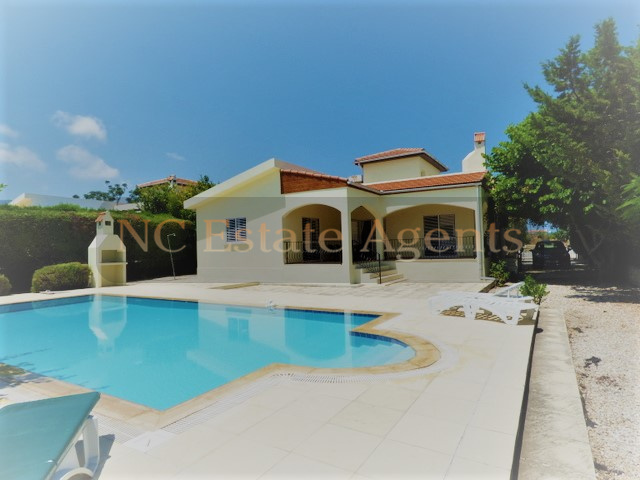 Positioned in a quiet street just a few minutes from the coast but near all the local amenities including bus routes, this property is going to suit purchasers looking for that dream villa for permanent residence or luxury holiday home. 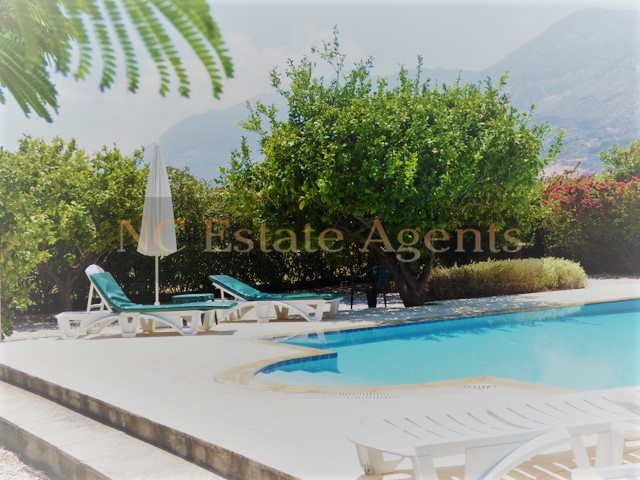 The bungalow has a lot of character which sets it apart from the normal villas for sale. 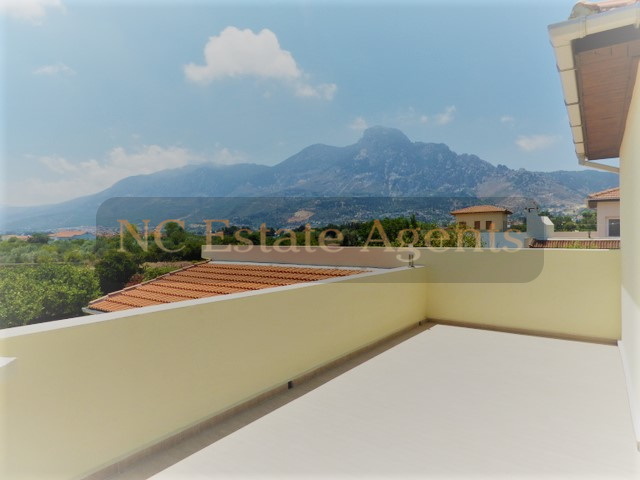 With covered terraces and large open roof terrace with amazing mountain views, you will always be able to find the right area to relax. 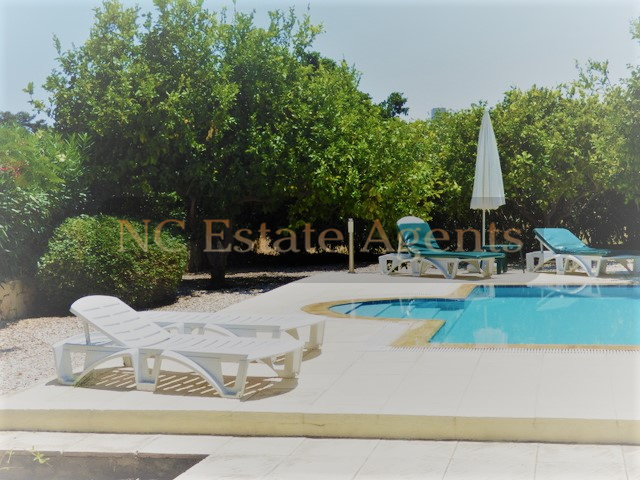 The 10 x 5m swimming pool is very private with lots of terracing for sun bathing. 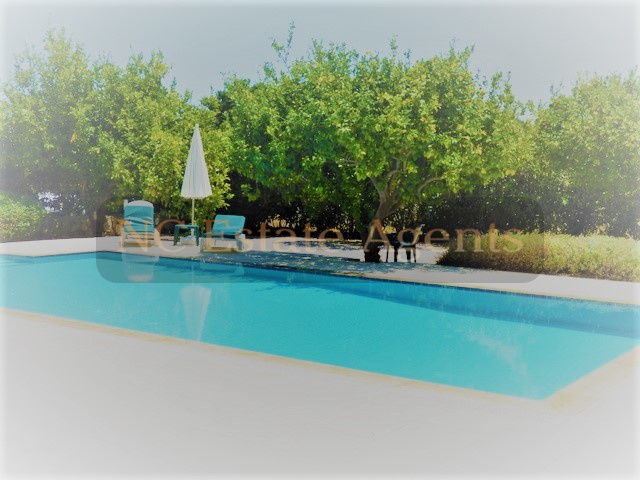 The large mature garden is every gardeners dream, with plenty of fruit trees and easy maintenance. 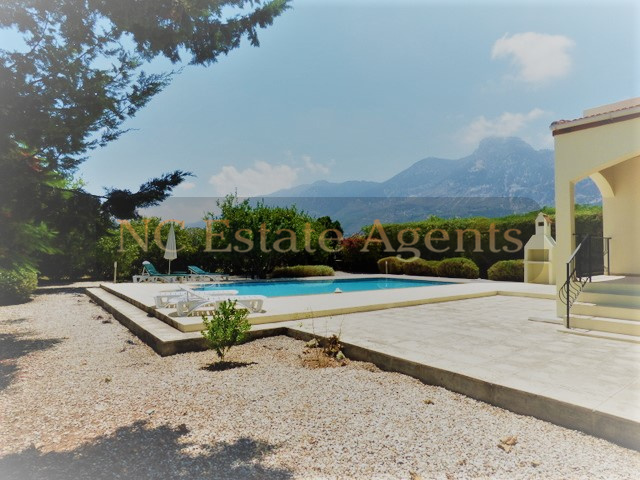 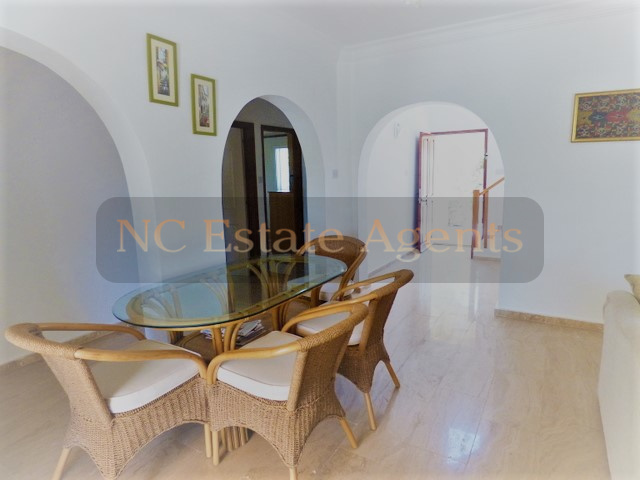 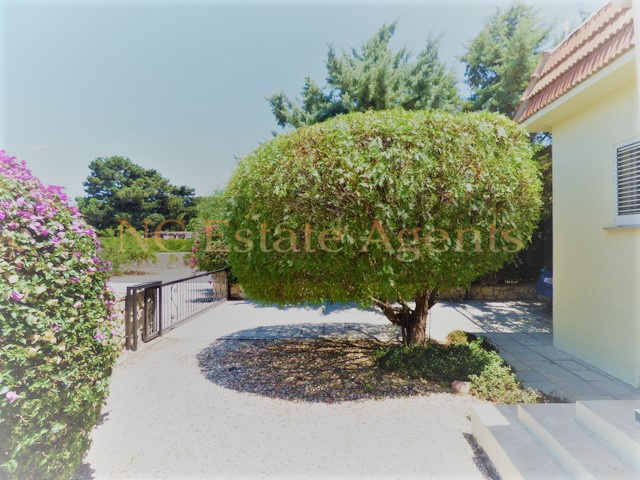 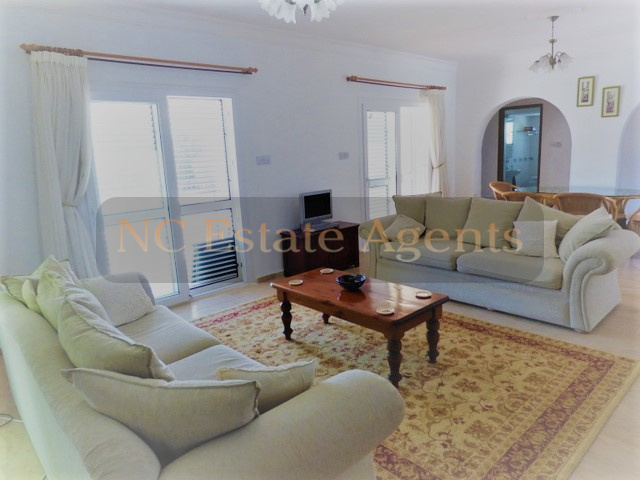 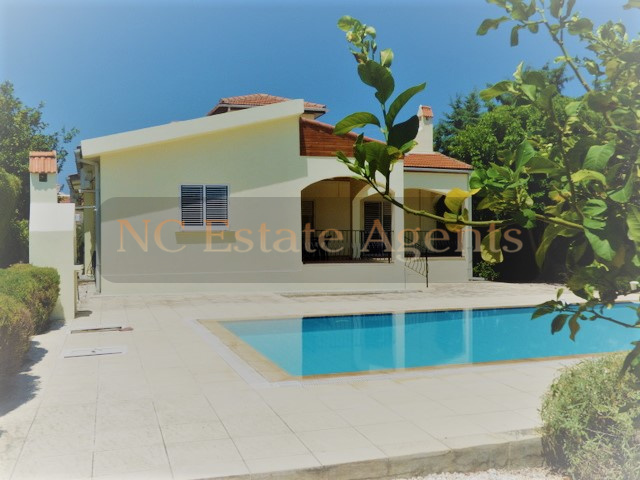 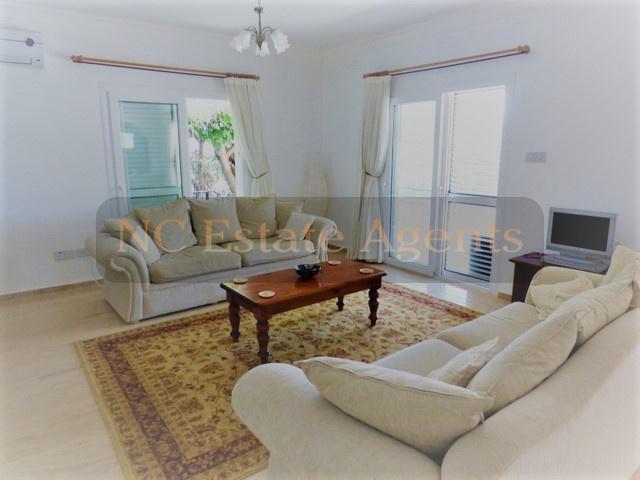 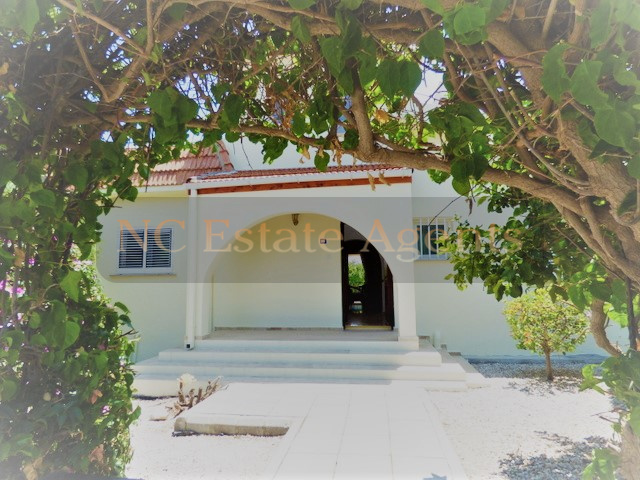 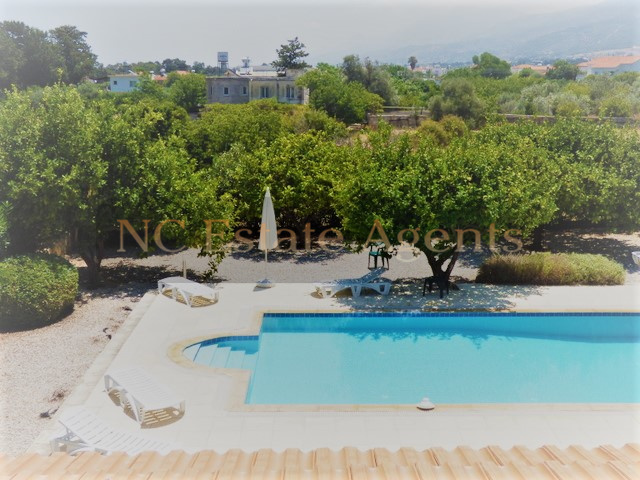 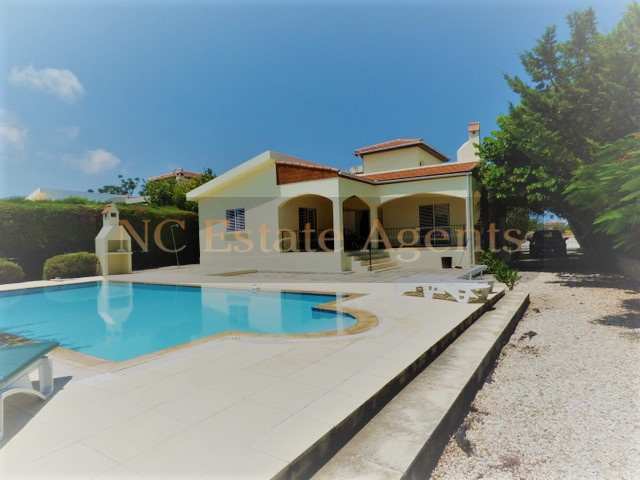 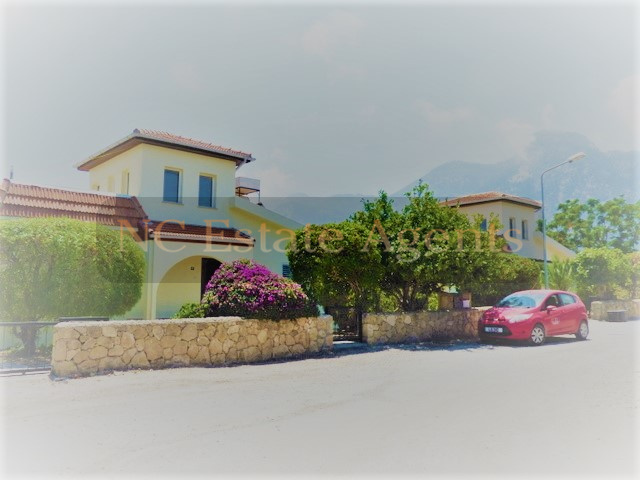 The property needs to be seen to be appreciated, due to its location and attractive price we advise contacting us at North Cyprus Estate Agents for early viewings. 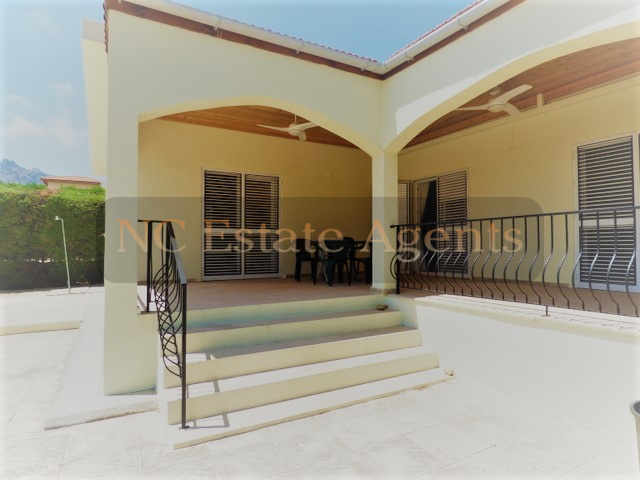 On entering the property you enter a spacious and bright entrance area with stairs to the left that lead to the utility area and roof terrace. 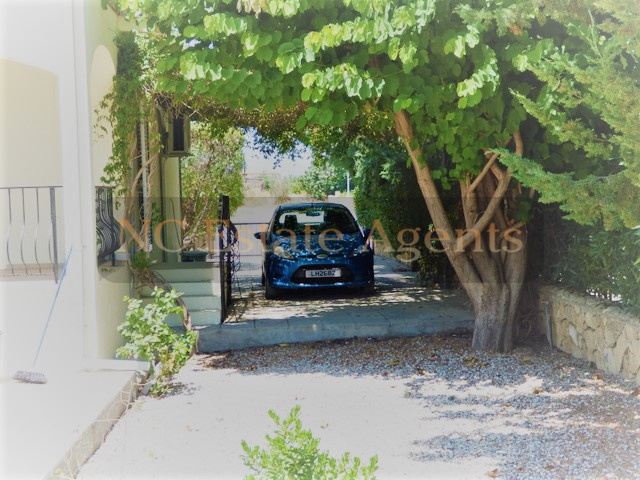 There are windows on all aspects of this entrance that makes this very bright. 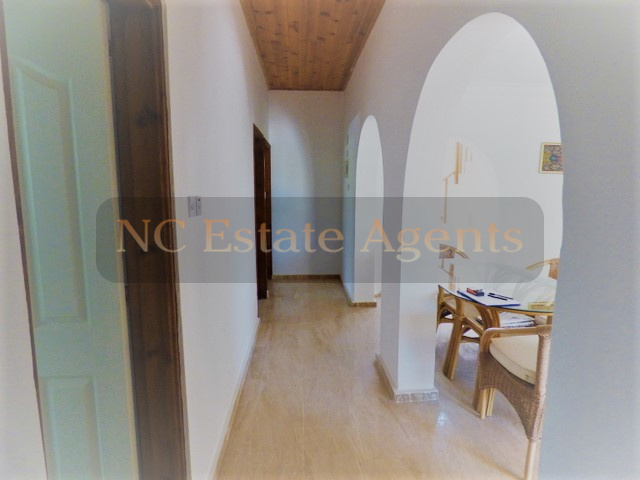 Under the stairs has been converted to a covered in for that all important storage. 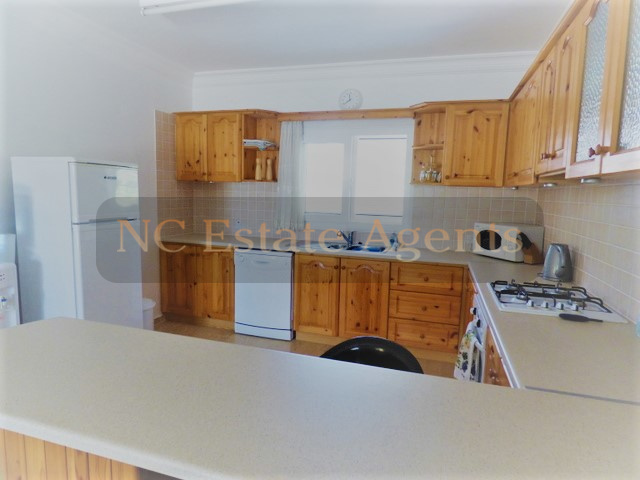 Large open plan fully fitted kitchen with plenty of worktop and cupboards space, all white goods are included with a window over the sink overlooking the front of the property. 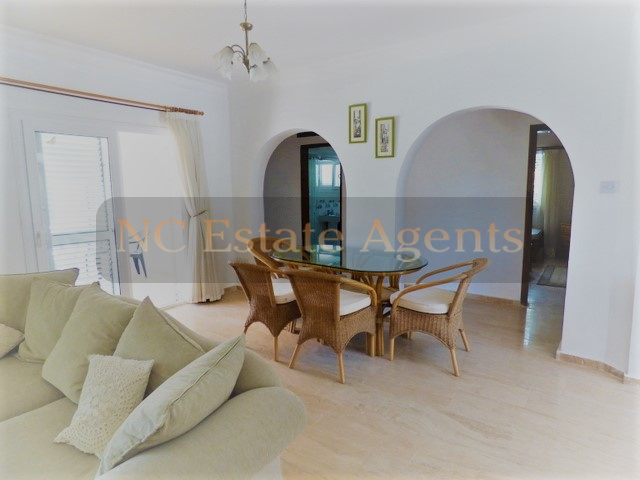 A lovely open breakfast bar gives great separation through into the lounge and dining room area. 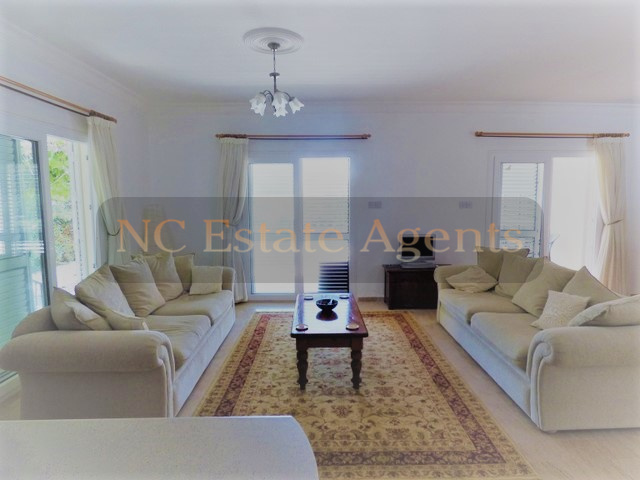 Open plan lounge that is extremely spacious with 2 large sliding doors with shutters, these lead out to the covered terrace at the back and also to a side entrance that give easy access to the covered car port area. 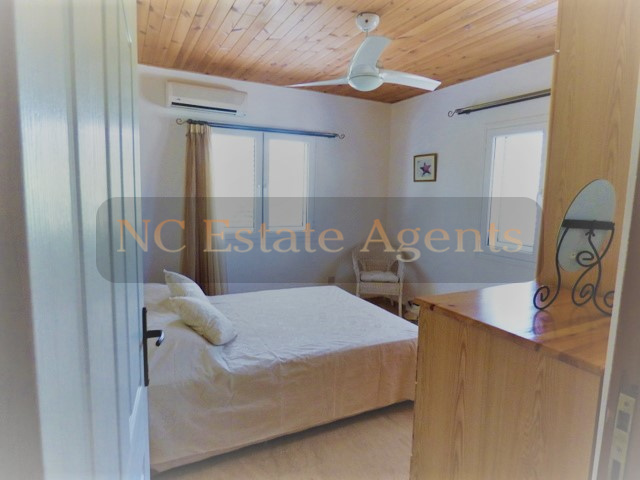 Coving throughout the area with a large AC unit that will easily heat and cool the whole space. 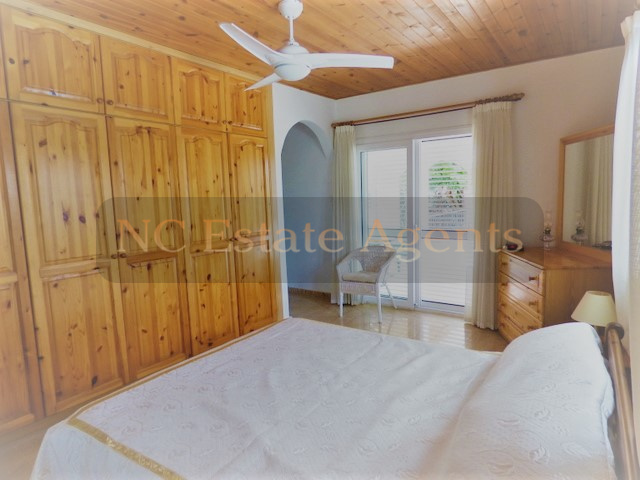 Shutters on all doors. 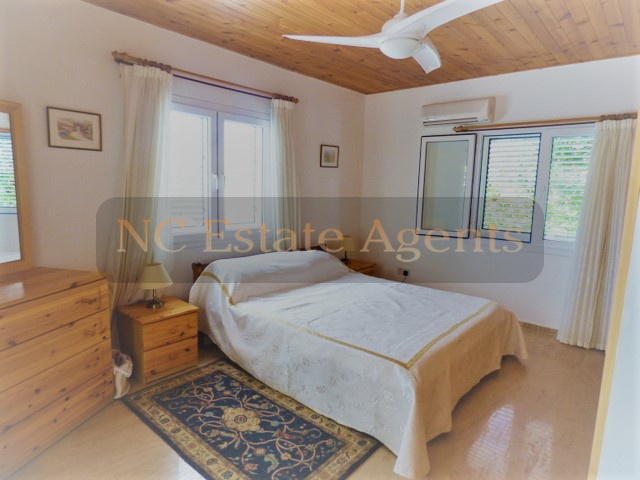 The master bedroom is a real treat offering great mountain views from the triple aspect windows and sliding patio doors that lead out to the covered terrace and pool area. 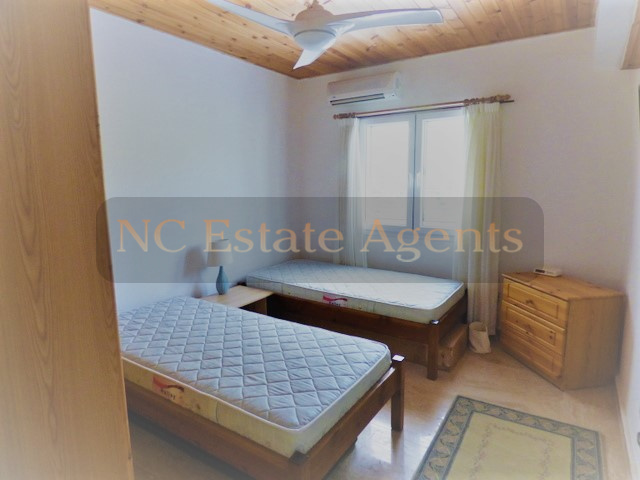 It has plenty of space, fitted wardrobes, AC unit, ceiling fan, wooden ceiling and en suite. 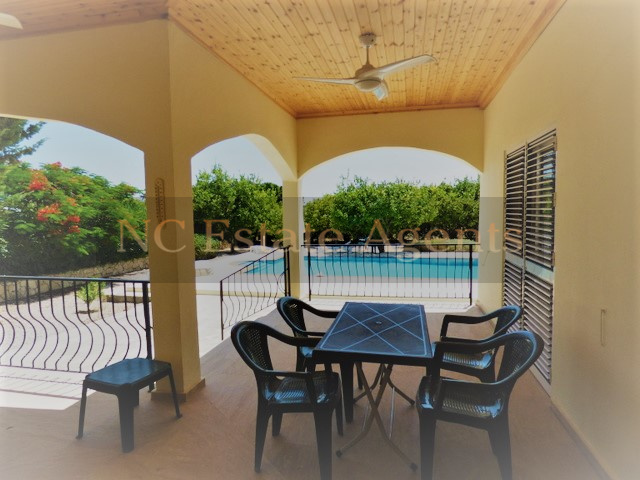 Spacious en suite with WC, Basin and walk in wet room style shower with shower doors. 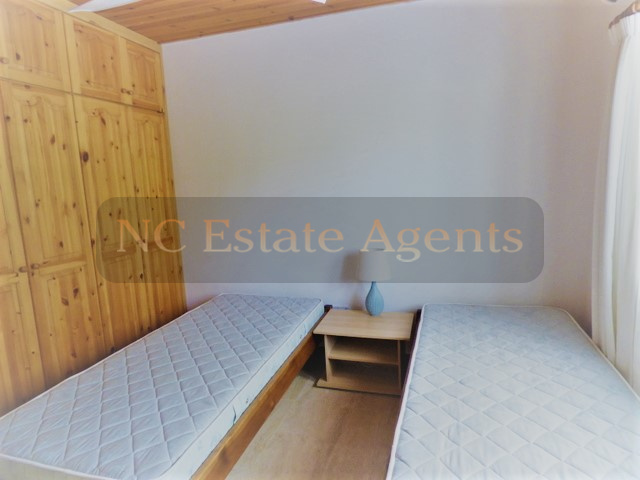 Bedroom two also a double room which is located at the front of the property has double aspect windows facing the front and side of the property. 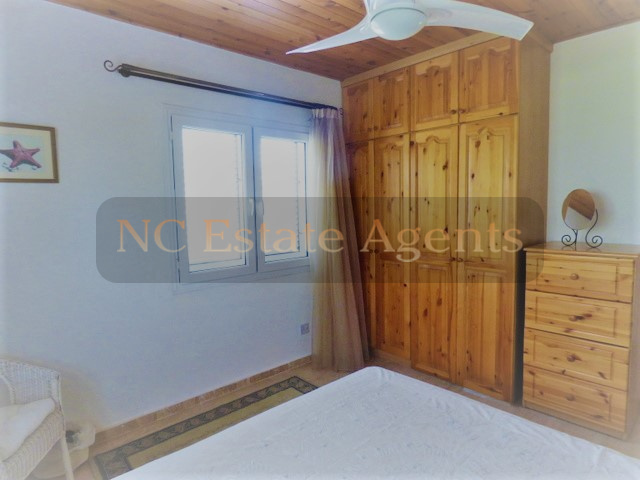 Fitted wardrobes, wooden ceilings, ceiling fan, AC unit and also boasts an en suite bathroom. 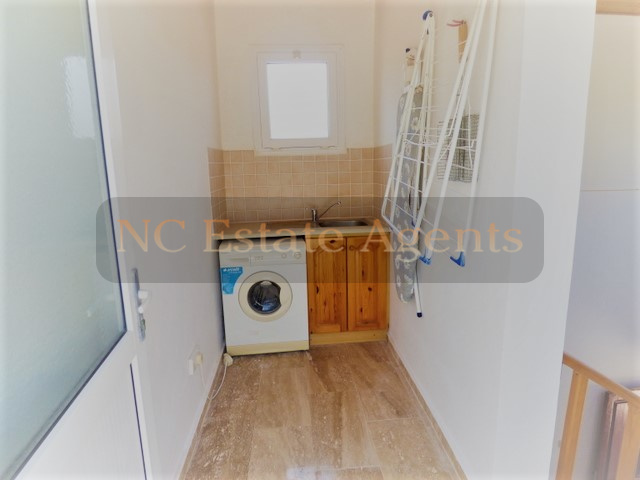 En suite with w\c, hand basin and walk in wet room style shower. 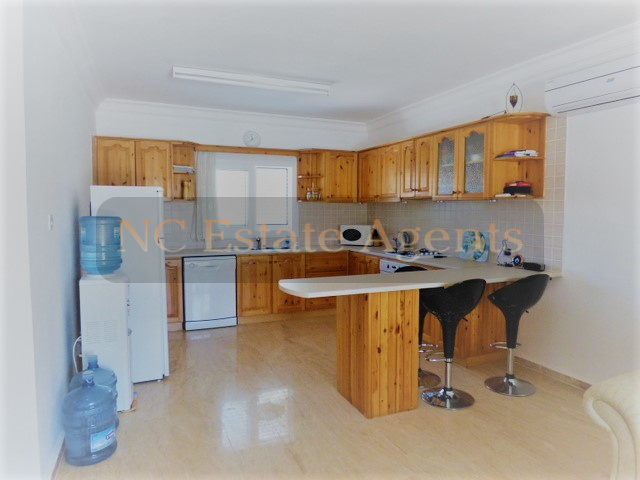 A large and beautiful family bathroom with WC, basin, separate shower unit and a corner bath with over shower. 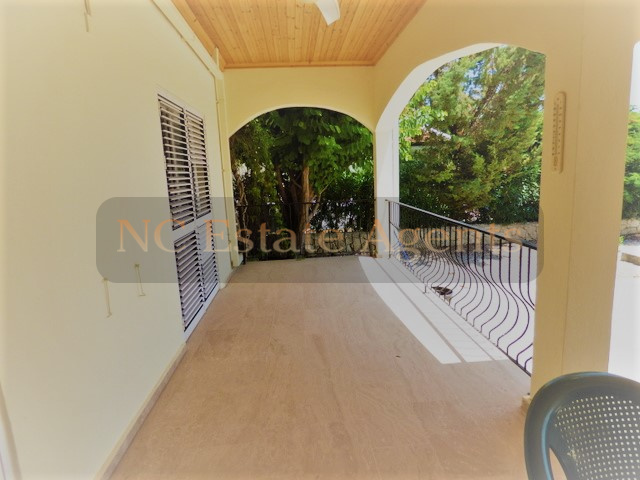 The roof terrace is accessible via the stairs inside. 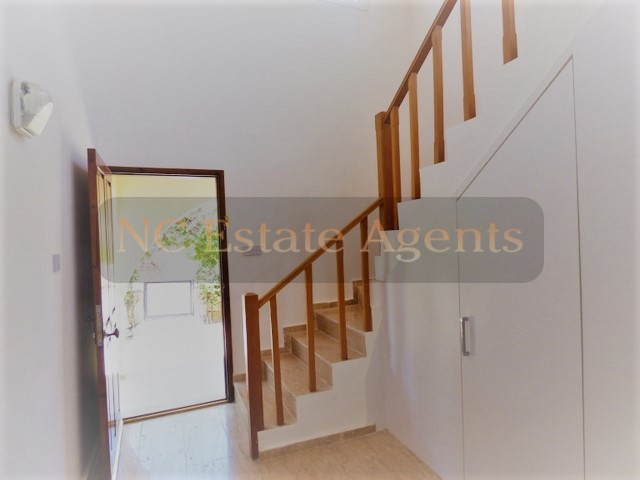 At the top of the stairs is an internal area that is ideal as a utility area or a small kitchen area for a roof terrace BBQ.